Hey Coffeeholics! 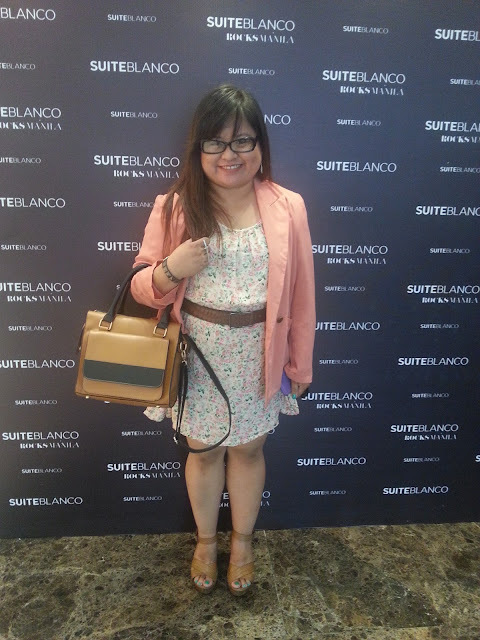 It has been a super busy end of the month of May with me attending Suiteblanco and also preparing for the Bloggers United 5 event for June 1. So now let me catch up on all of these happenings! 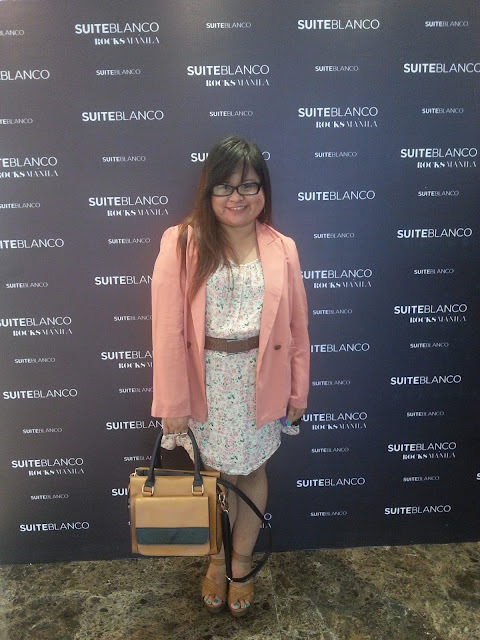 Last week I had the privilege of attending the launch of Suiteblanco here in Manila. 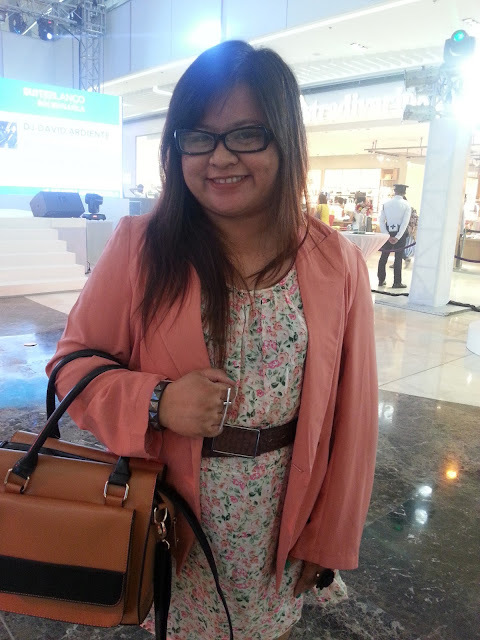 The event was held at the brand new mall - SM Aura! It was my first time to go there and it was grand! 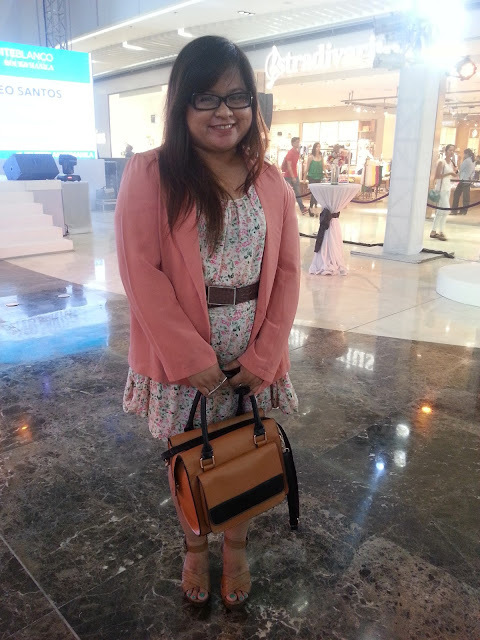 :) Anyway, for this event we were asked to wear something "summer~y" and this is what I wore! I can't help feeling kilig when I stumble upon an awesome thrifted find. Has that ever happened to you? Anyway, the sweet peachy hues of my outfit reminds me a lot of summer! And isn't my bag grand? I totally love it! Thank you Kashieca. During the event we got to see a fashion show and check out the awesome stuff Suiteblanco has in stock for us. Will be talking more about that on my next post. So are you guys back to school na ba? Or are you still making the most of your last hurrah of summer vacay and then back to the grind? Anyway, I hope to hear what you guys have been up to so far! 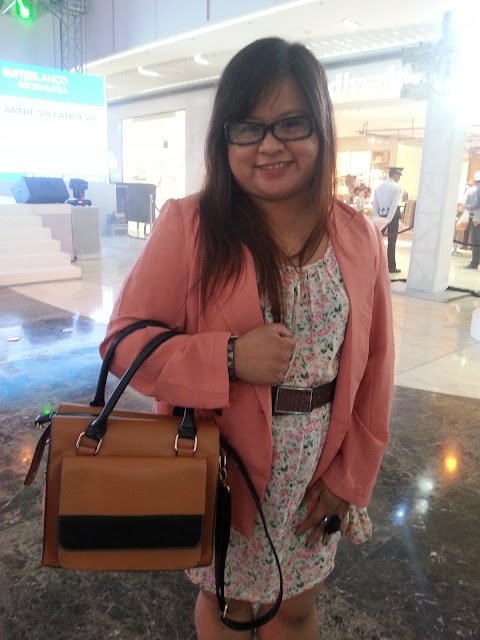 Have an awesome week(end.. patapos na eh! hehe)! P.S. Thank you so much Jen for my pictures! ay inggit ako! I wanted to go to Suiteblanco but no invite!! :) bongga parin events nyo :D hihimiss you kai!! hi Rovie miss n din kita. di n tayo nkkpagmeet! mas bongga k girl! mas marami k chorva! hehe.